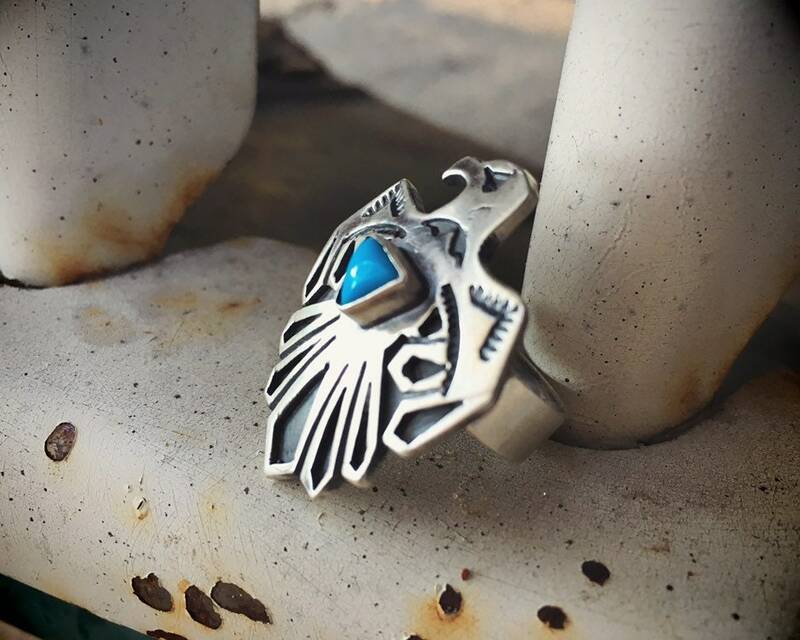 Here we have a striking ring in the form of a thunderbird, made of sterling silver with a small cabochon of turquoise in the center. 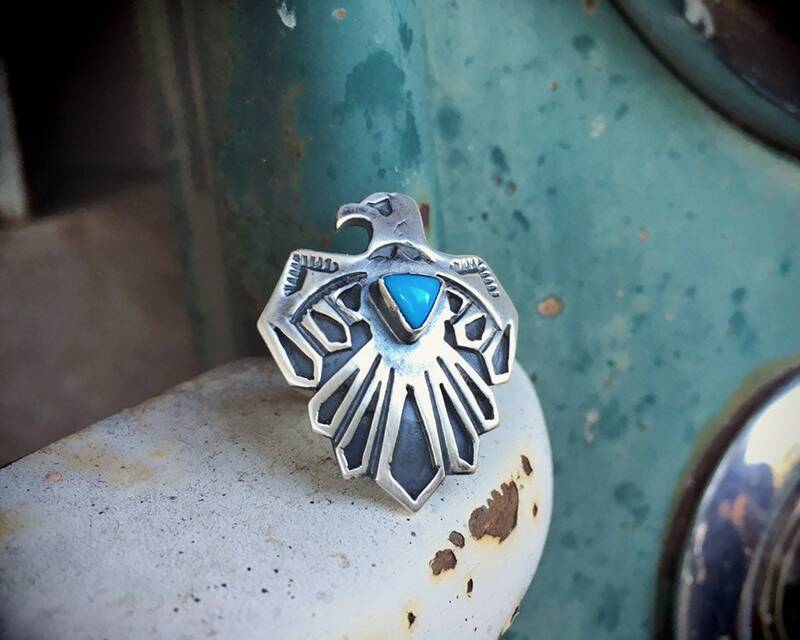 Beautiful overlay design that adds depth to the iconic thunderbird. 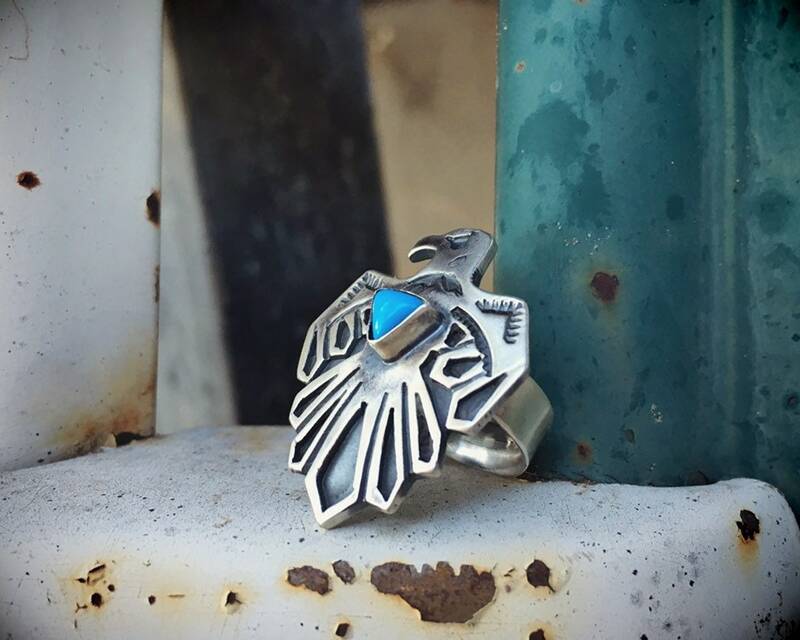 Carries the hallmark of the company Running Bear, a 40+ Gallup, NM-based jewelry manufacturer and trading post. 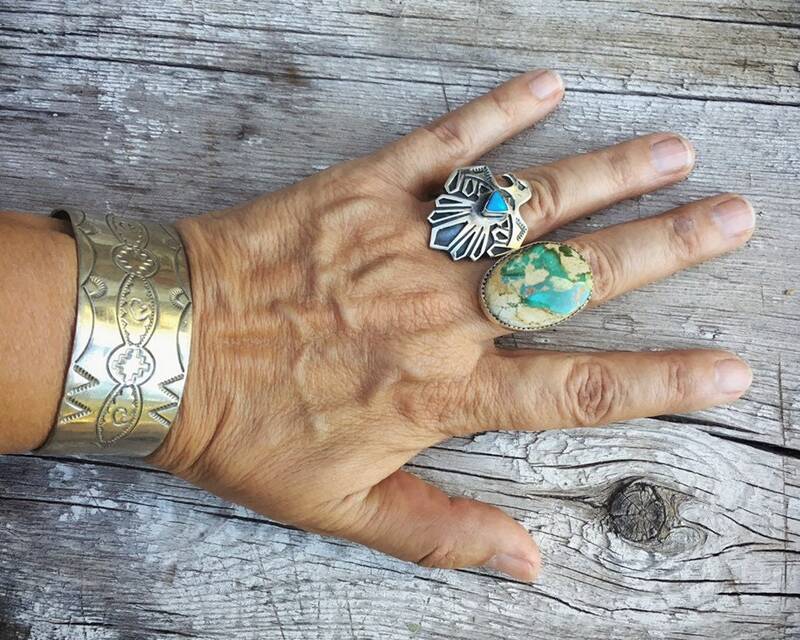 Since this ring does not carry a specific artist's stamp in addition to the company hallmark, we cannot say for certain that it is Native American made. 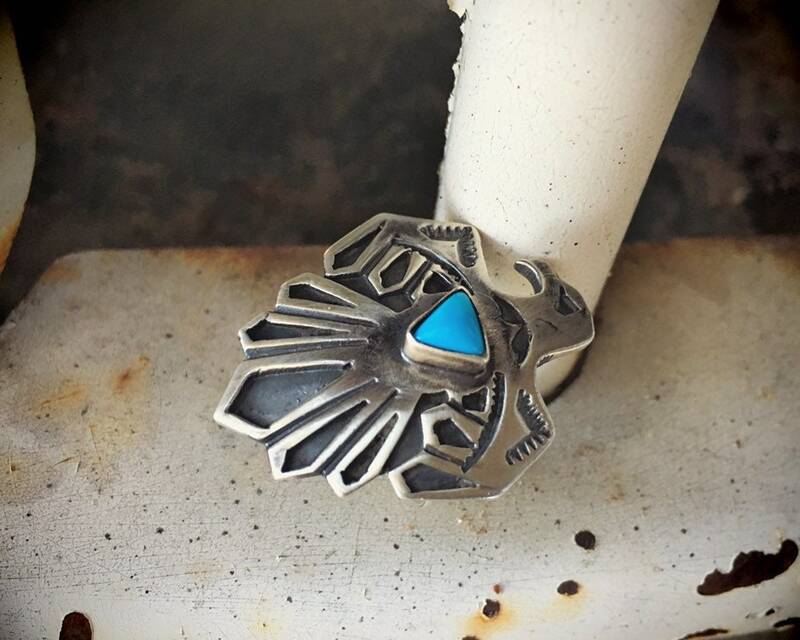 Yet it is definitely Native American-inspired and traditional Southwest design, and chances are good it is Native made. Because the ring face curves toward the finger, it is difficult to get an accurate reading on the mandral tool, although it appears to be a Size 6 to 7. 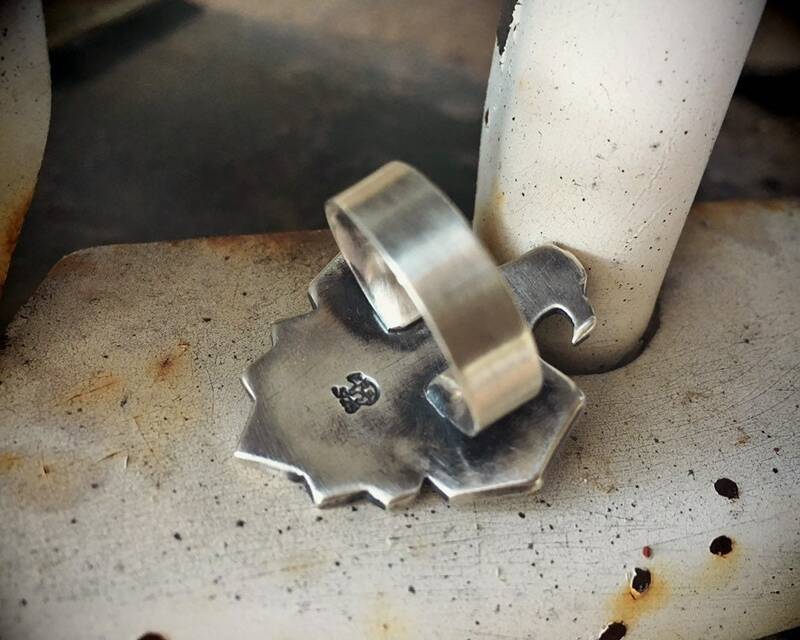 The ring face measures just over 1" wide by 1-5/8" long. The silver has a brushed finish with oxidation that creates depth and beauty.